Other than Christmas or a birthday the Nordstrom Annual Sale is one of the best shopping times of the year. It’s pretty hard to beat their discounts on designer and other top tier items that have slashed prices. The early sale that is open to Nordstrom card owners has already begun and the public sale begins on July 20th, but great items don’t last long. It can be overwhelming with the amount of amazing brands and items offered that you need to sift through before making final decisions. I’ve put together a great list, a shopping guide for the best picks this season to simplify your life. My favorite Summer picks are below. They include key pieces that you can wear now and will help lead you into a beautifully accessorized Fall season many of which will last when the weather changes. Think about adding a vintage tee, under any dress, paired with tights! You might see me wearing a few of these soon! 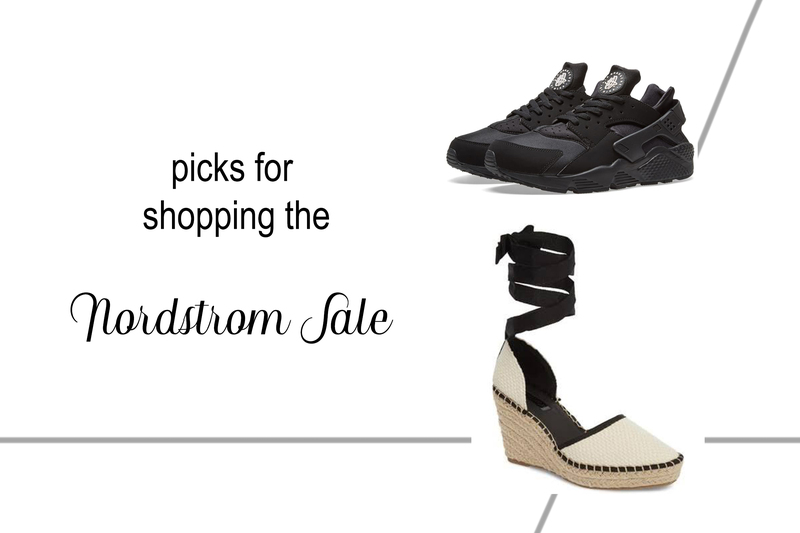 What are some of your faves from the Nordstrom Sale? Comment Below!